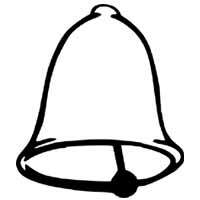 Bell in average size. Three strokes. You can put in a loop. Sound of Bells classic sound Audio effects for video and animations Bells classic sound for smartphone or mobile phone Bells classic sound Bell in average size. Three strokes. You can put in a loop.